Suppose you can pay for a cup of coffee with a micro measure of equity in the coffee shop! The higher the price you pay, the more valuable your equity. The BitMint rails may transform equity to digital coins that move in a frictionless mode among the stakeholders. The resultant equilibrium tends to optimal performance. Real estate assets project trust due to their size, immobility, and visibility. Therefore ownership shares in such an entity are attractive, especially to people that live around the construction and reassure themselves daily of its utility and worth. So much as digitizing fiat currency, BitMint can be utilized to raise money from the public to construct an expensive piece of real estate. 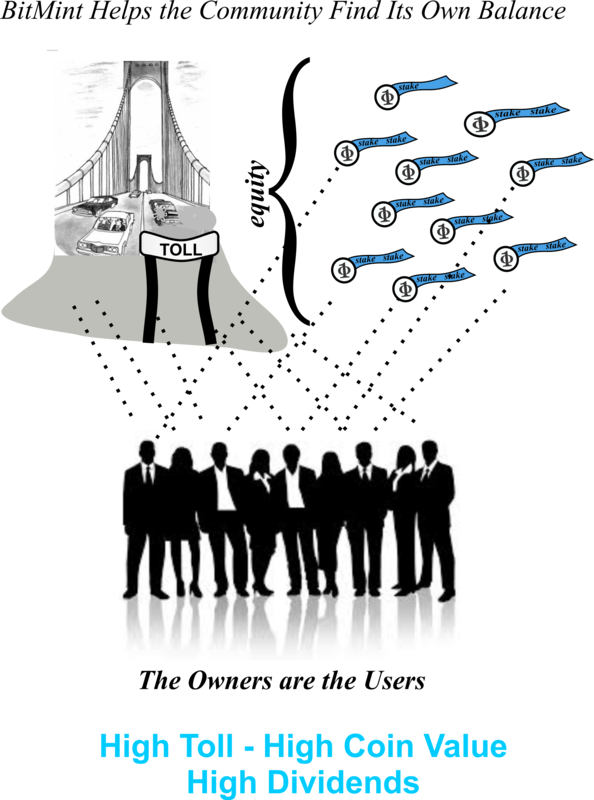 To build a bridge, the enterpriser will issue ownership stakes, and promise to distribute dividends from toll income. These real-estate ownership coins will be freely traded, if so desired. Alterntively these coins may limit ownership to local residents, and assign voting rights to coin holders. With their votes the coin holders will decide on business practice. For example: A community might set out to build a much needed toll bridge across a local river. 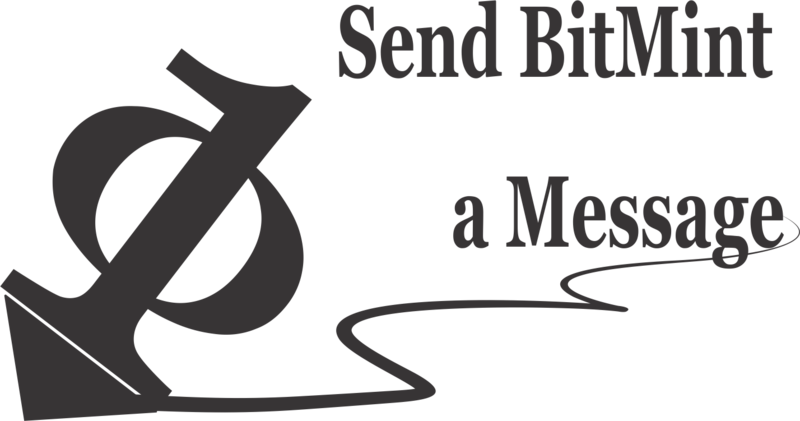 To raise money, the community issues BitMint coins that represent stake in the bridge. These coins are implemented with a strict chain of custody, and only local citizens can legally purchase such coins. Every quarter the coin holders vote on proposals to adjust the crossing toll for the bridge. Since the people who pay those tolls are members of the community that holds the stakes for this bridge, the question of a fair toll will be resolved within the community, giving the people a sense of control over their destiny.